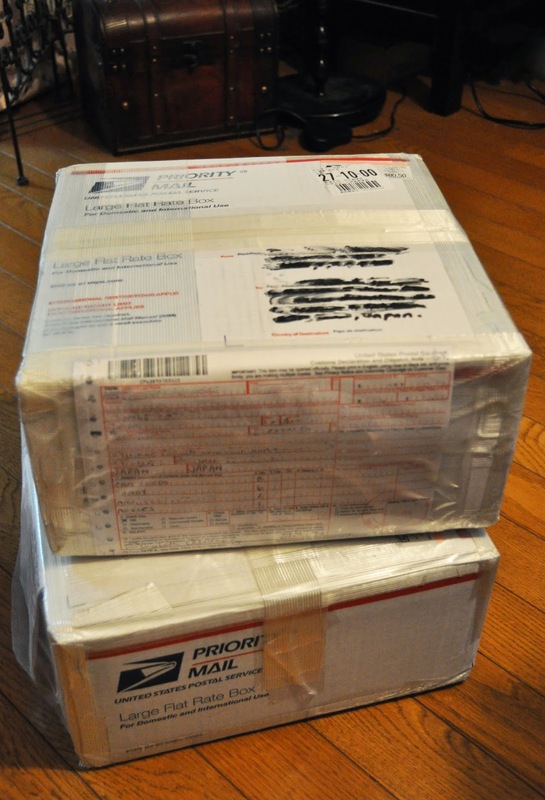 Two care packages from my mom arrived this evening :) But, don't get your hopes up, they're not filled with makeup. 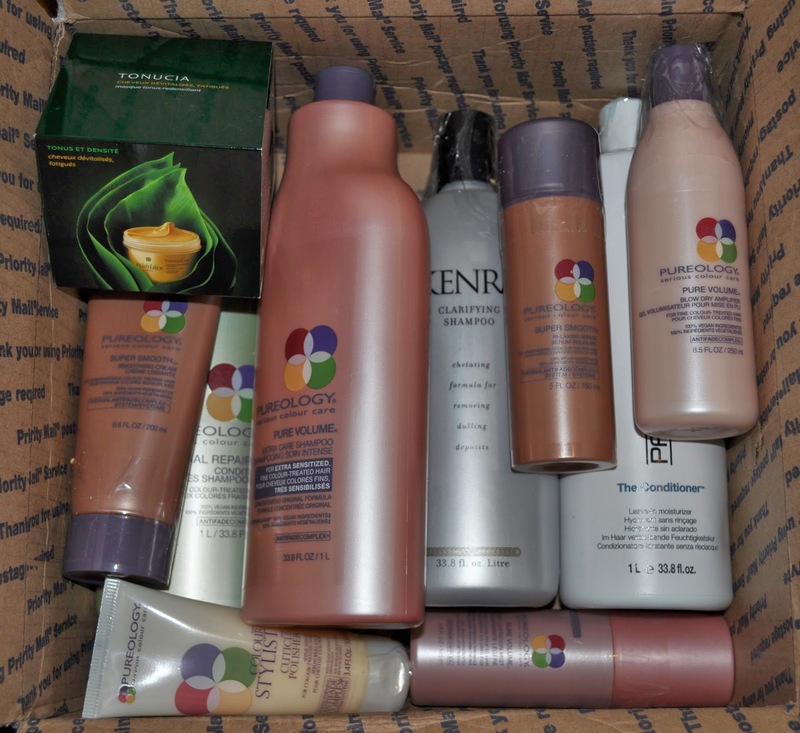 Stocked up on some much needed hair products. 3 Bean Salad: I love to add 3 or 4 bean salad to my salads, delish! The boxes for all three cereals wouldn't fit in the large priority package, so she put the Fruit Loops in a large ziploc baggie, the Corn Pops in two baggies (I'm munching on one now :P), and threw all the instant Cream of Wheat packets in the box...a cereal feast! Fruit Loops and Corn Pops: I'm a big cereal junkie. I love all kinds, but as of late I've been craving the sugary ones. Cream of Wheat: I LOVE cream of Wheat! If I'm not having a protein shake for breakfast, I'm eating Cream of Wheat. Added bonus, the bottle of the dry cooking wine (Vino Seco), a few cans of black beans, and seven bags of Cadbury Mini Eggs (I live for these every Easter). If you were living in a foreign country, what things would you ask friends/family members to send you? When I lived in Seoul, I used to really miss fresh herbs and limes. I could track them down, they just wouldn't be fresh (or easy to get) or really incredibly expensive (limes). It didn't make sense to bring them back to Seoul when I visited the US, but when I did make it to the US, I would overload on all the herby, limey things. :) I didn't suffer from scurvy that's for sure. One thing I DID use to bring back on my trips to NY were bagels. You can get "bagels" else where in the world, but PUHLEEZE, nothing beats a real NY outerborough bagel. Of course, the problem would be my whole giant suitcase would smell like everything bagels (with onion, garlic, etc). But so worth the haul. I totally understand, because whenever I go back to the states, I treat every meal as if it's my last meal and totally gorge on all the foods I can't have in Japan. Oh God the cadbury mini eggs, I love them and I just cannot control my self with them! I have a question not related to this post... Addiction Cheek Polish vs Cheek Stains. Which would you recommend if you have to choose between them? THanks! In regards to Addiction's Cheek Polish vs. Cheek Stains, I prefer Cheek Stains. I have a few of the cheek polishes (need to post), and I find stains lost a bit longer. Do you have a certain brand in mind? Also, my type of skin do you have? I LOVE MINIEGGS. I am literally eating a pack right now. Oh man, that is a tough question. 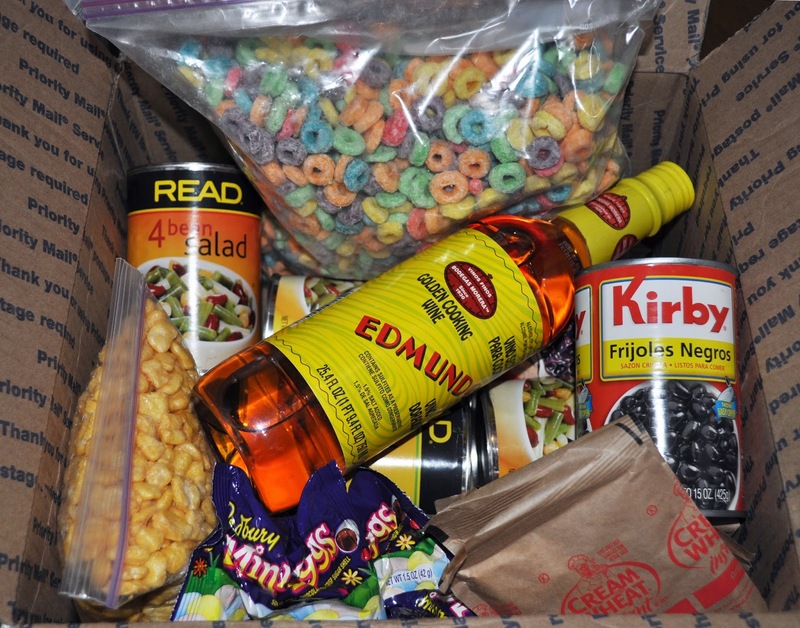 I'd need backups of all my products, but food wise...I'd probably go with Captain Crunch, taco kits (like those Old El Paso ones), Goldfish crackers and Campbells Tomato Soup.